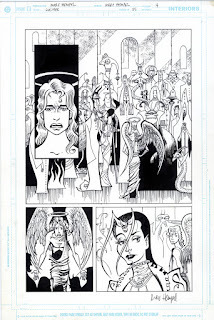 Speaking of DC Vertigo books based off the writings of Neil Gaiman, this is page 4 from Lucifer 55, published in 2004. I used to follow Sandman, The Dreaming, Lucifer, Books of Magic, am I forgetting any of them? 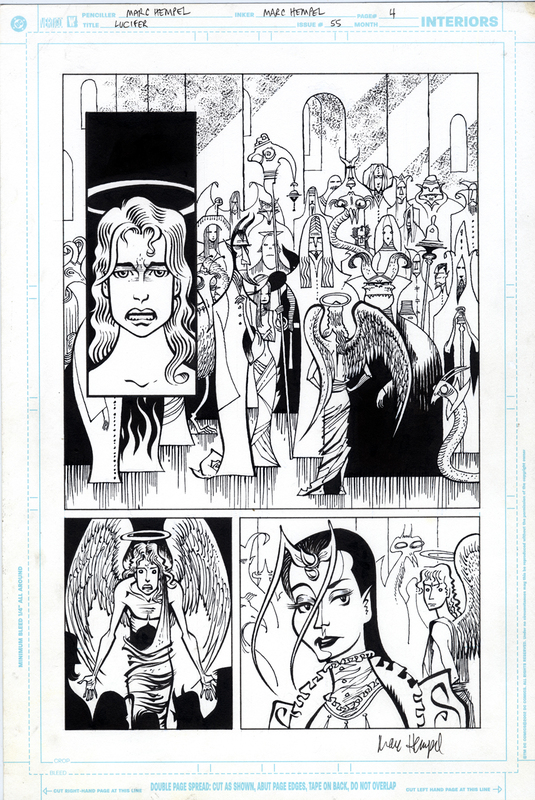 I bought this page from the artist, Marc Hempel, who was tabling at Comic-Con International in the early ‘00’s (when I had time to cruise the floor, before I started self-publishing in 2003 and my ankles went south in 2005). I had fallen in love with Mr. T, an artist I had found previously uninteresting, when he drew the “Breath Taker mini-series for DC Vertigo in 1990. I don’t recall he was selling any of those pages, but he had plenty of these, so I (thought) I had to be choosy.